A while ago Keith Cooper briefly looked at using a black and white conversion of a colour image to boost luminance contrast of the colour image. Just recently, whilst going over some images in his archive from a trip to the US, he looked into using this technique for producing relatively low saturation images, in an attempt to create some prints that give a more moody, stormy interpretation of the weather at the time. The examples shown here are pushed a little further than might be best for the images, in an attempt to show the techniques more easily on the web. Note that any technique/plugin for making the B&W image could be of use, this example just happens to use Silver Efex Pro – Topaz BW Effects would also work. 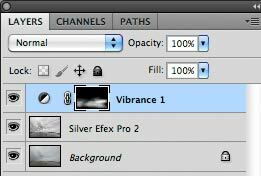 I’d note that MacPhun Tonality Pro, for example, includes layers so would also be of help if you’re using basic photo editing software such as Lightroom. 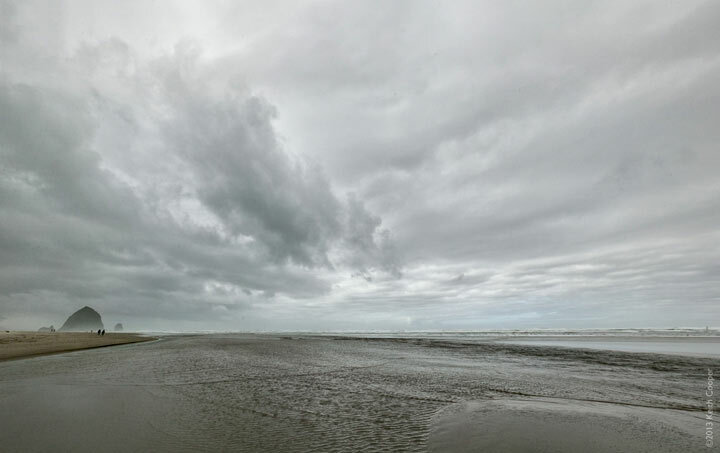 Generally I much prefer active skies when I’m looking to create some landscape prints. By active, I’m looking for a sense of movement and change. 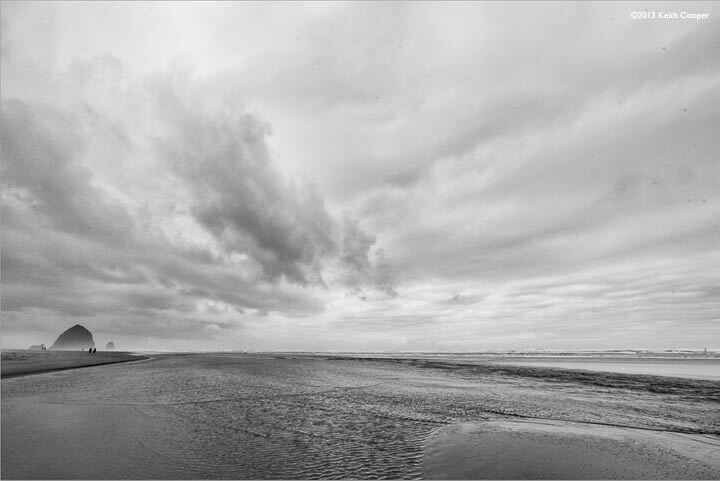 These are often the base for my black and white landscape shots, particularly if taken at the coast. 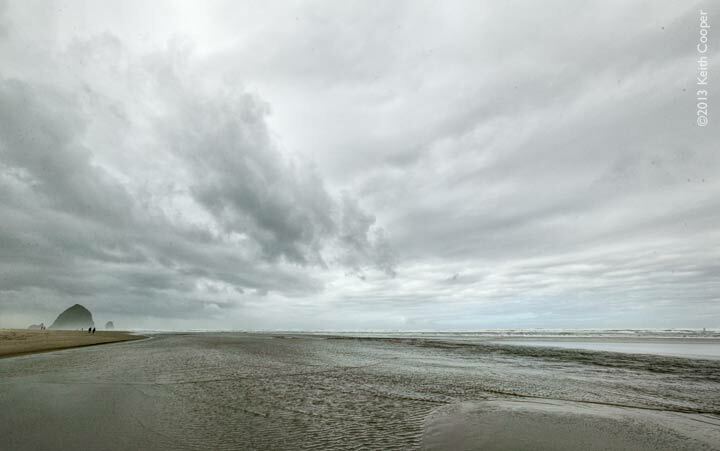 Normally, if I’m looking to create colour images then I’m after big bold strokes of colour (blue skies, sunsets, forests, fields), but what about the colours on grey dismal days? The photos in this article are some of my experiments going through my archives, from almost 10 years ago. This is a great way to experiment, I’ll assume that I took most photos for a good reason, so there must have been something about the scene that caught my attention. There are some more examples from when I first tried the luminosity masking technique with Silver Efex Pro in an earlier short article. BTW If you’re interested in more about some of my reasons for taking photos, there is a longish article describing the whole process involved for one print, right from getting out of the car to take the picture – From idea to print. One of the features of most cloudy days is that the tonal range is relatively compressed. 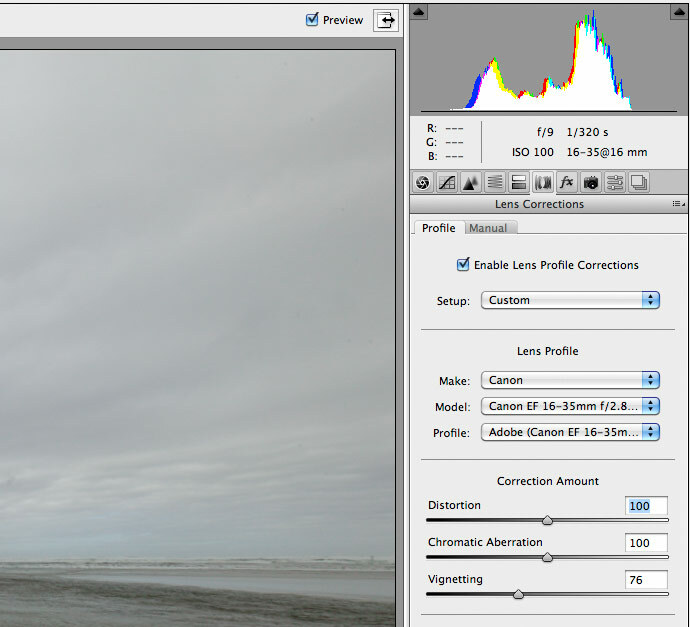 Look at the RAW histogram for this cloudy morning at Cannon Beach, on the Oregon coast. 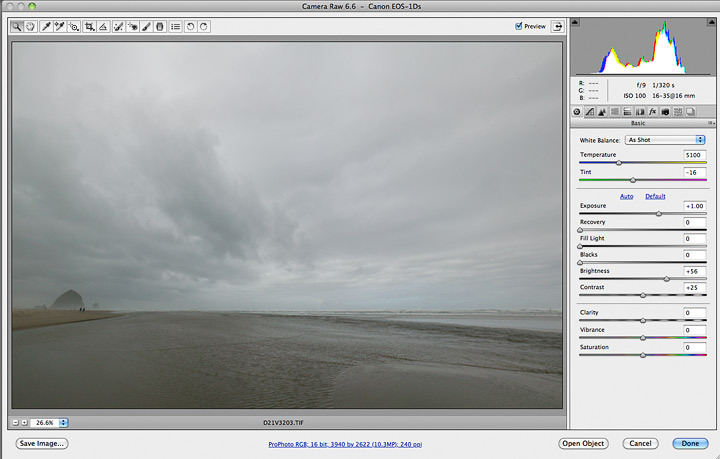 I’m using Camera Raw in Photoshop here, but the image could be processed in a number of different ways. I could easily expand the tonal range of this image and tweak the sliders to get a much brighter image, but this view is pretty close to what it felt like. 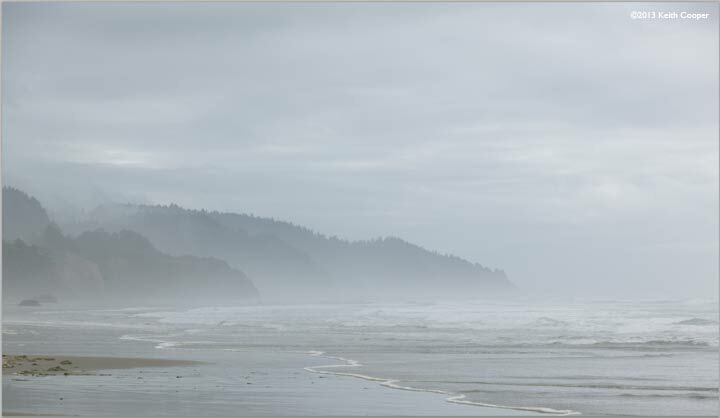 What I need is a way to give a bit more ‘oomph’ to the luminance part of the image. In this example I’m going to be using Nik Silver Efex Pro 2, but there is no reason not to use your favourite B&W conversion technique or plugin if you wanted. The point is that I’m going to make a B&W version of the image and then use that to adjust the luminance of the colour version. Note that this article is much more about the principles rather than any step by step guide – that’s how I teach aspects of photography, there is rarely (IMHO) any step by step recipe, it’s about understanding where you want to get to and then taking a route that works for you. I’m going to be working from a RAW file from my old 11MP Canon 1Ds DSLR. This needs a bit of cleaning up (dust spots) and correction for distortions from the 16-35mm lens are best carried out here. I’d note that most times the vignetting correction is a little strong for this lens, and a bit of falloff towards the corners can often help draw the eye into an image. After processing the image (in 16 bit mode) I have it opened in Photoshop. For some ways of working, I’ll duplicate the base layer (I’ve called it ‘mono layer’ here). It’s this layer that I’ll turn in to a black and white version of the image and then blend back with the colour original. Some plugins (such as the Topaz ones) will edit this layer and alter it. With Silver Efex Pro 2, the plugin will return a new layer, so I don’t need this duplicate to work on. 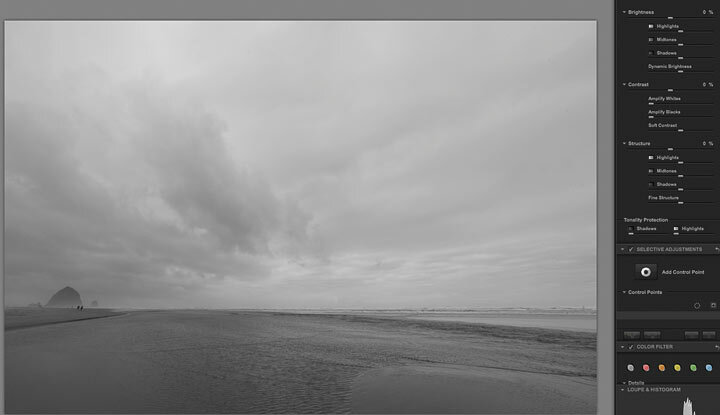 If I was manually converting the image to B&W and then editing it before blending back, then I would need the duplicate. I’d note that you could even use Silver Efex as a smart filter in this process, which would allow you to come back and change its settings later on. However this isn’t a Photoshop tutorial – the idea is just to produce a black and white version of the image on a different layer. 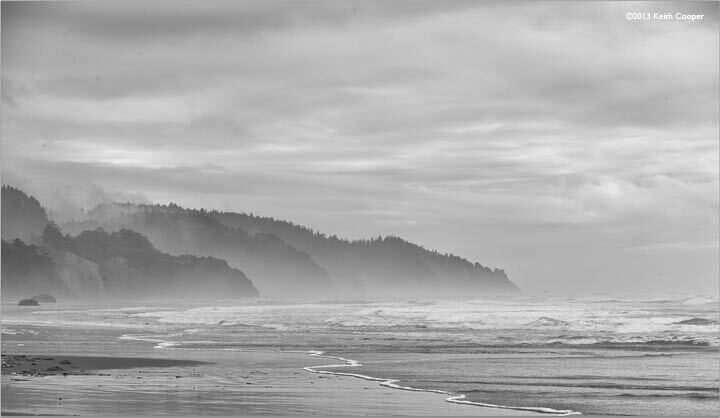 In this first example, I’ve opened up the image in Silver Efex. Initially I’ll adjust the brightness controls (mouse over the image to see). And some local contrast (structure) – be careful not to overdo this, since there is always a risk of unwanted halos (I’ve written elsewhere, specifically about this ‘halo issue‘ and how I deal with it). Move your mouse over the image below to see the colour and B&W layers after I’ve finished with Silver Efex Pro. This means that just the brightness aspect of the underlying image is being affected by the top layer (the B&W one). 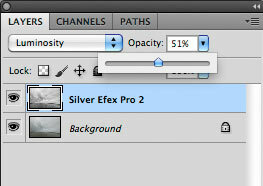 You can also see the opacity slider set to only ~50%. You adjust this to alter the amount of the black and white layer is affecting the colour layer below. You could also set a layer mask and ‘paint in’ the effect – this is a great way of selectively adding the contrast enhancement of the B&W layer. What if the colour looks a bit washed out in some parts of the image? 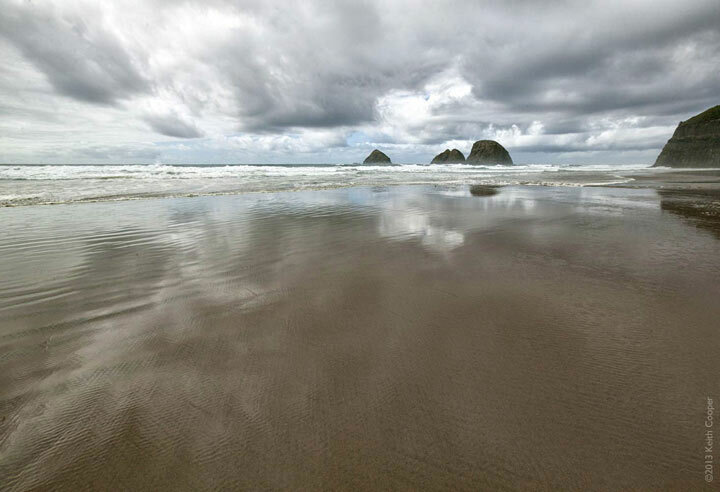 In this example, I’ve added a Vibrance adjustment layer. If this is a bit too strong overall, I can once again mask the layer to ‘paint in’ the areas I want the effect. You can see in the layer mask of the vibrance adjustment layer, where I’ve painted in the adjustment. Any image needs a bit of sharpening, whether for print or for display at the size on this web page. 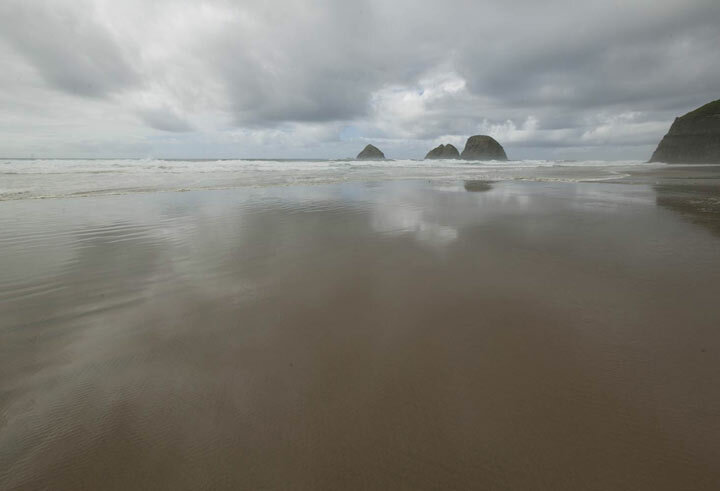 Mouse over the image to see a level that works for a web image. Here are the steps for another sea view. Then a black and white layer. I quite like the colours in the version above, but a masked vibrance layer (below) gives a version that looks better as a print. When printing, it’s also worth looking at applying a final levels adjustment to get the best dynamic range out of your prints. This is not so important on glossy/lustre paper, but with a matt art paper I want to make sure that I’m making use of the limited contrast range of such papers. I’ll look at making sure that whites (the surf and some bits of cloud) are almost at full white, and the darkest bits of the image almost a full black. 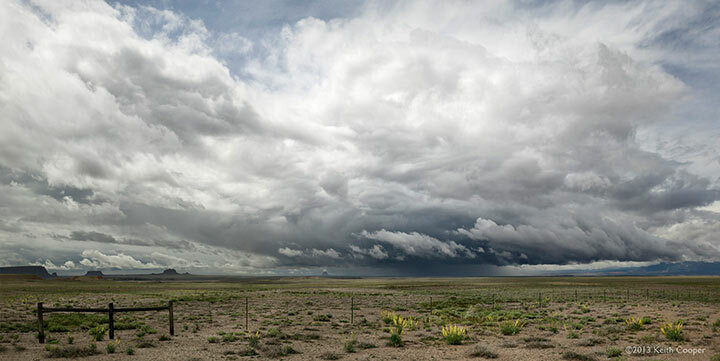 This image, of a spring storm near Cortez in Colorado, has had the contrast enhancement technique applied. In particular, the colour of the flowers was pushed up to give a bit more focus to the image. With this particular image, I did create a duplicate layer at the start, and converted it to monochrome, using the standard Photoshop B&W conversion adjustment. 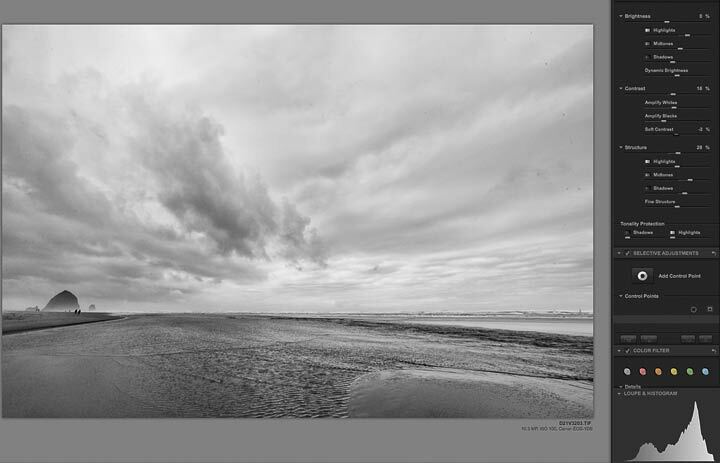 This gives a black and white image layer (still in RGB mode) which I then processed in Silver Efex Pro. 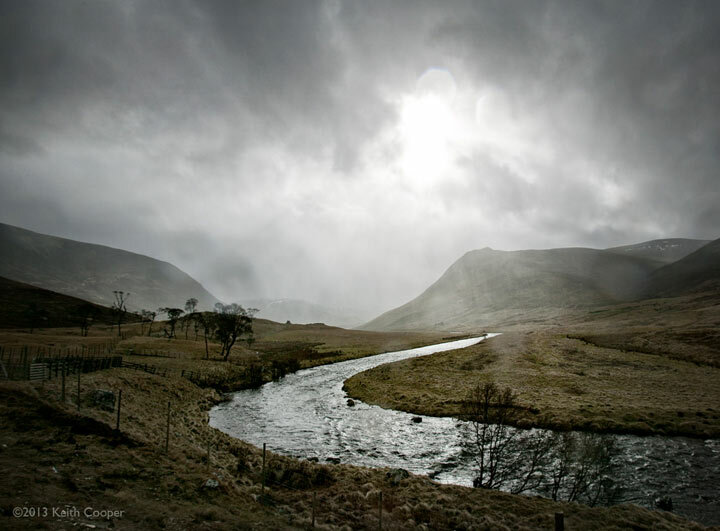 This rainy day in the Scotish Highlands has had some of the same technique applied. It’s a little dark at this size, but have a look at the much larger version on my G+ account. Why not just in Silver Efex Pro? Sometimes the colour to black and white balance needs a bit finer control. 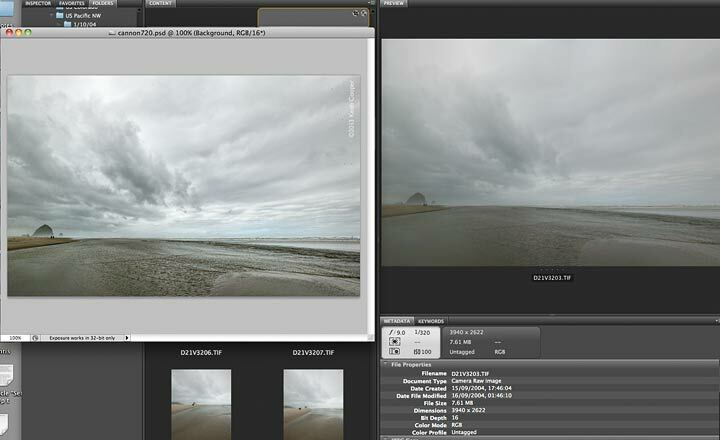 Using the channel mixer controls just allowed me to increase the lightness of the greens and yellows. Once again, there are lots of ways of working – this one just occured to me whilst I was working on the image. Remember to try different techniques – find what works for you? There are a few more examples from when I first tried the luminosity masking technique with Silver Efex Pro in an older short article.